The opioid crisis has precipitated a sea change in the way people think and talk about substance abuse — from criminal behavior that must be prosecuted to a disease requiring medical treatment. At the same time, growing recognition of the failure to stop drug addiction through “tough on crime” policies has intensified support for alternatives to incarceration, ranging from drug treatment courts and safe injection sites to legalization of the drugs themselves. Despite the widely shared belief that we can’t arrest our way out of the opioid crisis, questions still remain about whether and to what extent jail is ever the solution. For some families, the answer is not so obvious. Despite increased awareness of opioid abuse as a public health problem rather than a law enforcement issue, some — although not all — public officials have doubled down on the existing “tough on crime” approach. At the federal level, policymakers have been widely criticized for reinstating harsh mandatory minimum sentences for nonviolent drug offenders and considering the strengthening of penalties for trafficking in fentanyl. Similar legislation imposing a ten-year minimum sentence on first offenders who make, sell, or transport illicit opioids and authorizing law enforcement to charge drug dealers with homicide has been considered in states like Arizona and New York, respectively. While supporters believe such laws are necessary to deter dealers and increase the cost of drugs, critics respond that they exacerbate racial disparities in the criminal justice system and, ultimately, fail to reduce crime. In fact, while it is argued that such laws are aimed at big-time drug dealers, a recent investigation by The New York Times revealed that friends, family members, and spouses are regularly prosecuted for sharing drugs with each other. In other words, stringent drug laws do not always operate as intended. 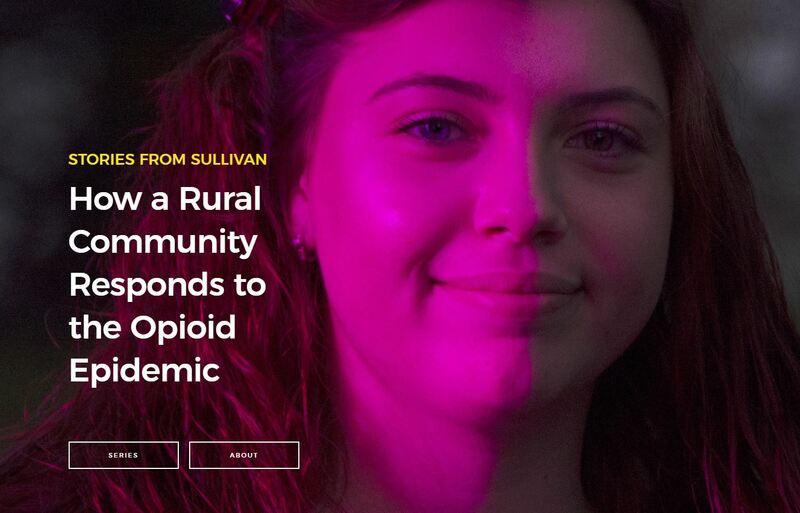 While the debate over charging and sentencing policies is likely to continue, a closer look at the opioid crisis in Sullivan County suggests that, for many families struggling with addiction, jail may be less of a deterrent to opioids than it is an option of last resort. While many of the people we spoke to agreed that the current crisis requires a public health response, the criminal justice system has played a pivotal, and unexpected, role in addressing the opioid problem. Despite increased awareness of opioid abuse as a public health problem rather than a law enforcement issue, some — although not all — public officials have doubled down on the existing “tough on crime” approach. 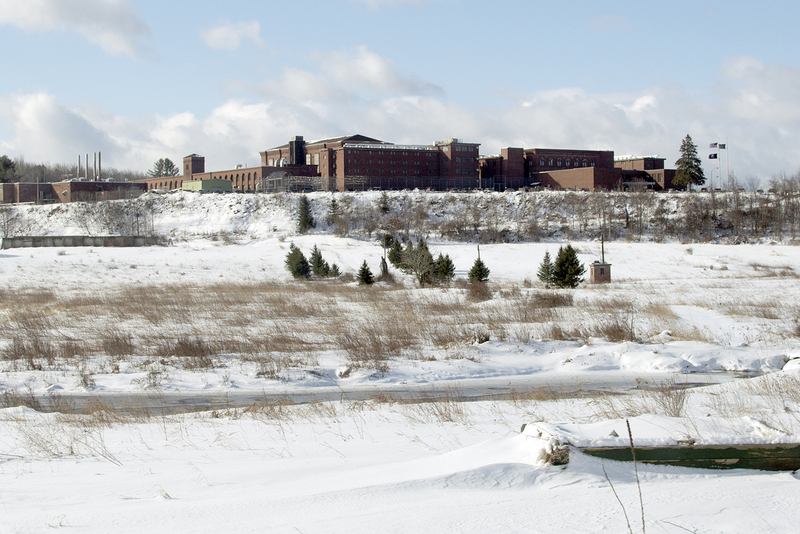 The Woodbourne Correctional Facility in Woodbourne, New York. Generally speaking, law enforcement officials wield considerable power over the lives of people with substance abuse disorders. Indeed, they are often the ones to decide whether a drug offender will be arrested and sent to jail, offered entry into drug court, or fast-tracked into treatment. Whatever their decision, the outcome for addicted men and women can mean the difference between life and death—between going to prison, gaining access to treatment, or returning to the streets. As the opioid crisis intensifies, both law enforcement officials and families struggling with addiction have harnessed the criminal justice system to meet the growing demand for treatment. Albany County Sheriff Craig Apple discusses the shifting role of law enforcement in the opioid crisis at the Rockefeller Institute of Government’s forum, “Combating the Opioid Crisis,” on June 27, 2018. See the full video. While many of the people we spoke to agreed that the current crisis requires a public health response, the criminal justice system has played a pivotal, and unexpected, role in addressing the opioid problem. Ironically, while law enforcement officials can compel people into treatment, hospital workers cannot. Indeed, substance abuse rehab outside of jail or prison is purely voluntary. As one social worker explained: “If we have somebody that’s coming in that’s not identifying as depressed, is not identifying with anxiety, does not have a history of bipolar disorder … insurance will not authorize their treatment.” It’s a problem we’ve heard a lot about in Sullivan County — while individuals with severe mental illness can be committed to a facility if they are a harm to themselves or others, people with substance abuse disorders cannot, even though their addiction may be more deadly than depression. While jails can minimize exposure to harm by keeping people off the streets, they are not a substitute for treatment. As one mother explained, her son “went right from getting high . . . in the parking lot to going to jail. No detox, no medication, no doctor.” Still, as the number of drug rehabilitation facilities has diminished, jails and prisons sometimes offer the only treatment available. In Sullivan County, a credentialed alcohol and substance abuse counselor has been installed at the local jail and they are considering the use of Vivitrol to treat people with opioid addiction. 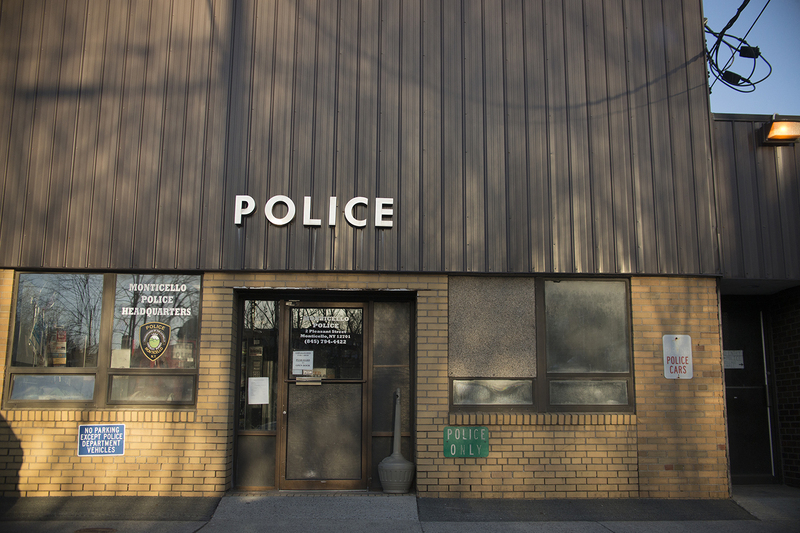 Under the Chatham Cares 4 U initiative, the town’s part-time police force must determine what type of treatment individuals need and whether they have insurance, find an appropriate treatment bed, and bring them there. Since the program began in July 2016, at least 180 people addicted to drugs have asked for help, 80 percent were placed in treatment within twenty-four hours, and over half stayed clean after leaving treatment. As the opioid crisis intensifies, law enforcement officials have started developing alternatives to incarceration. In Chatham, for example, when an afflicted person asks a police officer for help with his or her addiction, the officer is required to treat the request as a typical “call for service.” Under the Chatham Cares 4 U initiative, the town’s part-time police force must determine what type of treatment individuals need and whether they have insurance, find an appropriate treatment bed, and bring them there. Since the program began in July 2016, at least 180 people addicted to drugs have asked for help, 80 percent were placed in treatment within twenty-four hours, and over half stayed clean after leaving treatment. While jail may not be a solution to the opioid problem, the coercive power of the criminal justice system can still be leveraged to save lives. For this reason, jails must be equipped to meet the needs of people with substance abuse disorders. However, more needs to be done so that incarceration is not the only option for families struggling with this disease. Katie Zuber et al., “When Battling Addiction, Is Jail Time the Problem or the Only Solution?,” Rockefeller Institute of Government, July 5, 2018, https://rockinst.org/blog/stories-from-sullivan-when-battling-addiction-is-jail-time-the-problem-or-the-only-solution/.